← Asian Central Bankers and Economic Growth — Ideas From the Wharton Global Forum in Tokyo (May 2013). U.S. Cyber Activity and Global Trade Transactions — They are Related. 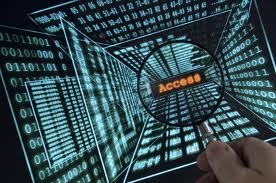 Cyber activity (snooping) and global transactions are related. In more ways than you think. It’s more than just stealing trade secrets. It is clear that the recent disclosures concerning NSA surveillance is already generating a great deal of debate within the United States and abroad. It is also clear that this disclosure will impact relations with China and the EU. This will be in the context of various issues including cyberespionage, data privacy, foreign direct investment (in the U.S. and abroad), and global trade relations. The forthcoming G-20 meeting is already scheduled to address the three big “T” issues relating to global transactions — trade, tax and transparency (corruption). I would not be surprised that another “T” or issue would be added — Telecommunication and Internet Security. After all, the revolution in information technology and telecommunications is the basis of global trade today. The recent disclosure of various secretive cyber and telecommunication activities by the U.S. government has implications outside of U.S. domestic politics. This story has only just begun. We’ll see how the debate develops over data privacy, national security in the digital age, and global trade. …. The disclosure of the NSA surveillance of phone records and social media will transform the entire terms of debate with China over trade and cyberespionage. “America and China and Entwined in a Web of War.” Financial Times (June 8, 2013). …. The “Three Ts” of Global Transactions — Trade, Tax and Transparency (Corruption) — are going to be the focus of the forthcoming G-8. “G8 Leaders Braced for Battle on Evasion.” Financial Times (June 11, 2013). …. Also to be considered may be a new “T” — Telecommunications — in light of the recent NSA disclosures. “Hopes Shrink for EU Trade Deal.” Washington Post (June 14, 2013). This entry was posted in Global Trade Relations and tagged cyber and investment, cyber and trade, cyberespionage, data privacy, G8 and Cyber and telecommunications, G8 and trade and tax and investment, information technology and communications, NSA surveillance, trade and cyber activities, U.S. - China cyber relations, U.S. cyber activity and EU-US trade negotiations (TTIP). Bookmark the permalink.